Home » News and Stuff » Uncategorized » Summer Reading Challenge. With the sun setting on the summer holidays, I’m delighted to be visiting libraries to celebrate the achievements of children in my local area. What achievements, you ask? Reading, I say! Children who have read (and hopefully enjoyed) six books during their summer holidays will get a medal and a certificate – some of which will be awarded by me!! 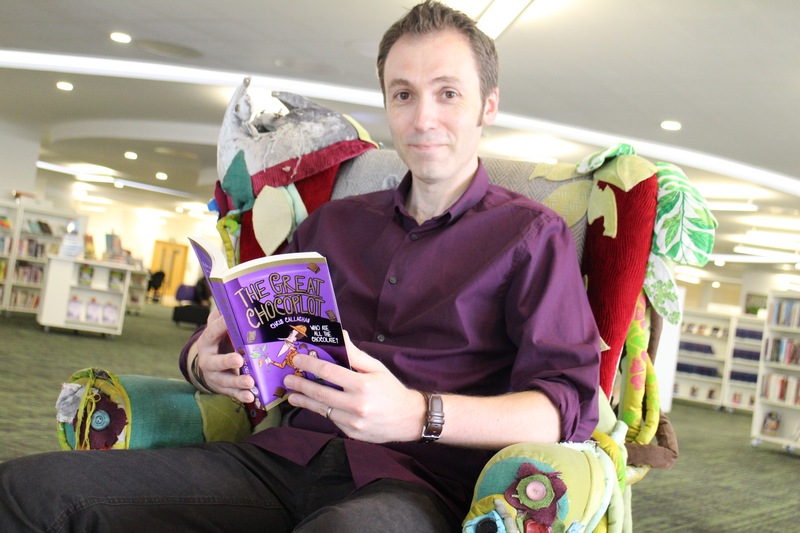 It’s called The Summer Reading Challenge and this year, to tie in with Roald Dahl’s 100th birthday, the theme is the Big Friendly Read (I wonder what Roald Dahl creation that refers to?). 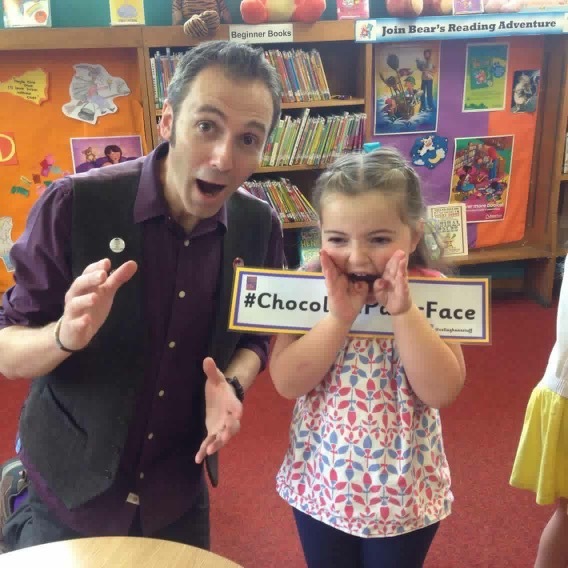 I have already been to many libraries to promote the Challenge and to promote … ahem … my book! I’ve had great fun getting keen readers to shout out chocolatey tongue-twisters like ‘Chocopocalypse’ and to pull ‘Chocolate Panic Faces’. 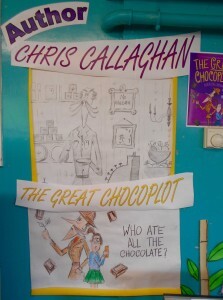 We’ve also designed our own chocolate bar wrappers! 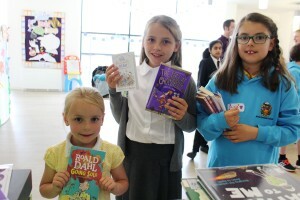 It is such a great scheme to encourage children to continue reading during the summer and I’m proud to be a part of it. You can see more pictures of my Big Friendly Adventures by clicking here or find out where I’m going next by clicking here. ← Making it All Worth While.